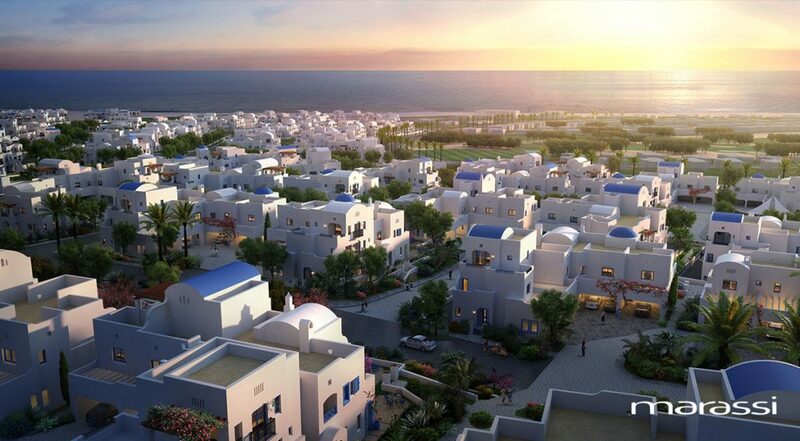 The Greek Village is the first of Marassi‘s six dimensions that’s carried out by Emaar Misr. 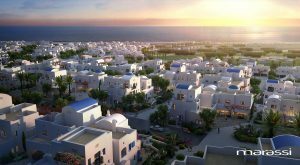 It presents the soul and essence of Santorini through its mesmerizing architecture and soothing white and blue homes. 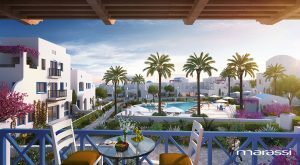 The Greek Village will allow you to live the Greek experience right in the heart of Egypt. The Greek Village will take your breath away and capture your senses by its hilltop position that provides a direct view of the phenomenal panoramas and romantic sunsets. You can also enjoy a walk through the beautiful alleys that will take you to a different world. 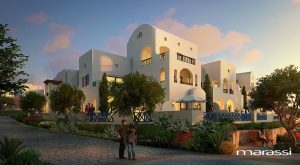 The Greek Village – Marassi has a wide range of townhouses, penthouses, chalets and apartments that only offer excellence and perfection in their construction. They are also characterized by ornamental white and blue domes that complement their design. Property Types: Townhouses, Penthouses, Chalets and Apartments.